This week’s challenge is super simple, but took me a couple of days to figure out what I was going to do. I knew I wanted to use Animal Outing DSP and finally decided exactly what I would do. As with the vast majority of sketch challenges with which I play along, I look at the sketch just a couple of times and then let it roll around in my head until I get an idea. 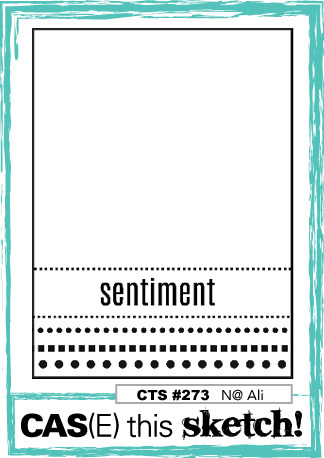 The trio of adorable animals and the sentiment banner were taken directly from the sketch. 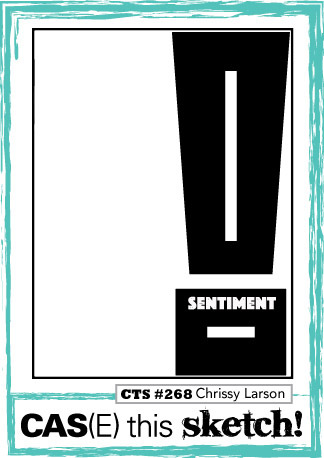 The sentiment, from the Animal Outing stamp set, was the perfect size for my banner. I stamped the sentiment, trimmed the length, and punched the banner, albiet non-symmetrical. Kangaroo, Iguana, and Sloth ~ Oh My! All three of the animals came from one sheet of DSP. This whole stack is absolutely adorable, and I had a difficult time deciding which three to use. In the end, it came down to which ones I could get out of a piece of DSP smaller than a 6 x 6 inch square. The animal print DSP is on the reverse side of the animals, and I thought it would calm down the Berry Burst in the mat and the strip of DSP (also from Animal Expedition) going down the front. In order to try to further calm down the DSP patterns, I matted the Berry Burst on Pool Party, also taken from the DSP colors. After cropping out the squares using the Stitched Shapes framelits, I used the Soft Suede Stamping Write marker to color in the stitches in the ditches. Then I thought that trying to mat these squares would be just too much for this sketch. Therefore, I used a tip I picked up from Mary Deatherage, of Stamps-n-Lingers, during one of her weekly FB live videos. I’d always outlined the borders of paper by tap, tap, tapping it in the ink pad. Mary uses the broad tip of the markers to outline the borders. Winner! The colored borders really add dimension without adding another layer. I love this tip and have used it quite often since I saw it. These little pieces of dimensional happiness were the finishing touch to the card. 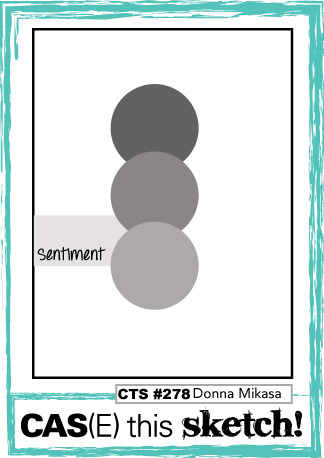 I popped the sentiment on mini-dimensionals and tucked it under the sloth. Regular dimensionals provided the lift needed on all three animal squares. While I know the sloth needed to be upside down, I first placed it right side up. I realized my mistake and very, very carefully pulled up on the square, reapplied a couple of dimensionals, and then placed it down correctly. Yeah, me. The simplicity of this sketch inspired my layers and mats. I wanted something to ground the animal squares, which is why I added the DSP strip. Thank you for stopping by my blog and I hope you are inspired to play along with this challenge. Fab Friday bi-weekly challenges are always fun. The current challenge is to use all five new In-Colors 2018 – 2020. Blueberry Bushel, Call Me Clover, Grapefruit Grove, Lovely Lipstick, and Pineapple Punch are all brightly saturated and pure colors. 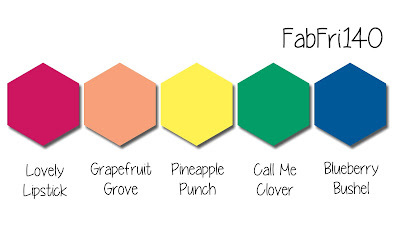 At first I wasn’t sold on these new colors. However, since I now have them in my hot little hands, I am in love with them. The DSP is so much fun and is reminiscent of the In-Color DSP stacks of the past. LOVE! This weekly challenge always provides an interesting sketch from which inspiration can be drawn. 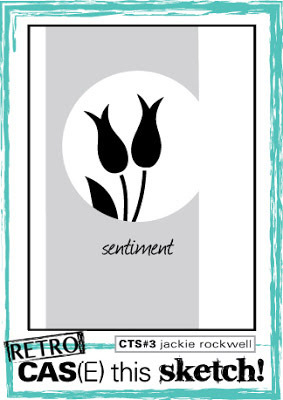 Sketch # 277 is very clean and simple with just a sentiment and one horizontal element below the sentiment. Even though both of these challenges were rolling through my head for a few days, I did not necessarily try combine the two. Since I wanted my Fab Friday card to be clean while incorporating the 5 colors, I figured out that I wanted to use the “celebrate” die. That’s when I matched up the two challenges, which allowed me to use all the colors but still have a somewhat clean layout. 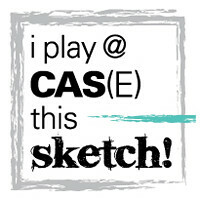 I hope you will see the CAS(E) inspiration in my card. In order to be able to line up all the letters again, I knew I would need a complete base on which to place the letters. Therefore, I cropped out the sentiment from Basic Black cardstock. I also used Basic Black as one of the mat layers to ground and unify all of the five other colors. Even though the blue “YOU” part of the sentiment is all one piece, I also layered it on top of a black base. Another product that allowed this piecing process to be relatively easy was my Xyron Sticker Maker. When using this sticker maker, I use the wrong end of the SU piercing tool to rub, rub, rub before taking off the cover layer of the Xyron sandwich. Don’t even ask about the black base layer because I cropped both pieces of the sentiment out of it. Ugly part won’t show because with everything else layered on it. In order to incorporate the horizontal element I simply used a knotted piece of Lovely Lipstick ribbon. Thank you for visiting my blog I greatly appreciate each view. 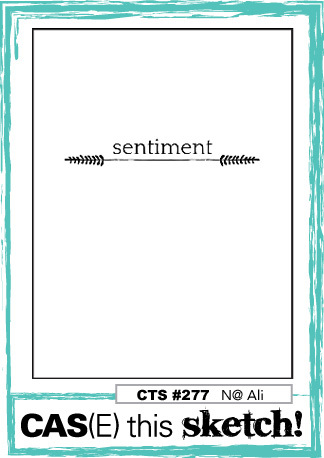 While I have been creating cards, my DH and I have been frantically working to get our house ready to go on the market, which happened on Thursday. It’s also the end of the school year, which means grading, grading, grading. In the meantime, I needed to create graduation cards for my niece and nephew, as well as her bf and his gf (another blog entry is coming). All 4 are done and were delivered today at the joint graduation party. Is mine the only one that does this? That was my niece’s comment. She kept popping her card up and down and loved it. However, she would rather have not had to share the design with her cousin, but she was ok with that. My niece’s school colors are orange and black. 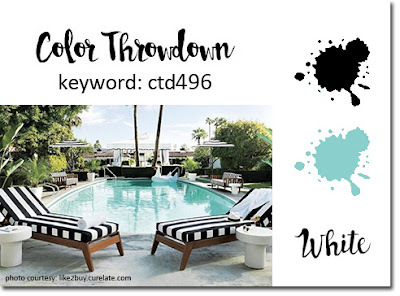 The new In Color of Grapefruit Grove and Basic Black fit her card perfectly. My nephew’s school colors are blue and gold, so I used the new In Color Blueberry Bushel and Crushed Curry. For both cards, the 6 x 6 In Color DSP stack was a perfect match, of course. I used a retired SU graduation set for the sentiments and panels. Pick-a-pattern made an appearance on the Grapefruit Grove card, as did the shiny Basic Black ribbon and the new Grapefruit Grove bakers twine. My nephew’s card has a piece of the burlap ribbon, with a layer of the retired Crushed Curry ribbon tied off with the thin jute twine. My niece kept opening and closing her card and was quite impressed with the whole popping mechanism. On the other hand, my nephew reacted just as I thought he would – oh, wow, nice. I first saw this on the fb live by Mary Deatherage from Stamps-n-Lingers. While this card looks very complicated, Mary has it thoroughly broken down and I was able to follow along while making my nephew’s card. When I made my niece’s card, I was able to do everything without looking at the video until I got to the measurements for the mechanism and adding the book. I remembered how to fold the mechanism, but was iffy on the measurements. This truly is much easier than it looks. One thing I can add though, the cardstock for the mechanism is 2.5 inches by 8.5 inches. That’s important. Before I made my niece’s card, I saw the CTS #273 sketch and knew it would work perfectly for the card I was going to create. I did make some minor adjustments based on the sketch, and I think it turned out peachy perfect. When I uploaded the link for What Will You Stamp # 164 I had 3 minutes before the collection closed. I hadn’t even written this blog post; I just created the post, titled it, added the photo, and posted it on the challenge. When I checked the link, I had 1 hour and one minute to create this card. Now I can write the post. Mission accomplished. 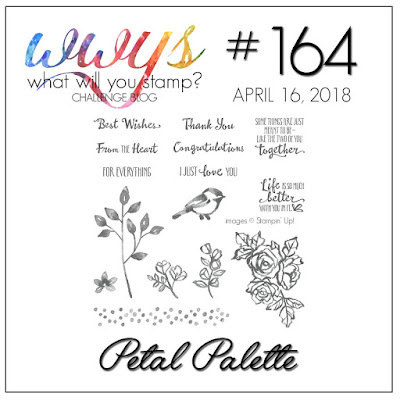 WWYS # 164 is to use the Petal Palette stamp set. I love this set! The Petal Pair embossing folders arrived in my last order, so using the vine one was perfect. This little bird is beautiful! I’ve colored it in a variety of colors, and I’ve even done the reverse stamping technique for one of the birds, but I’ve been enjoying the Basic Black, Whisper White, and Bermuda Bay color combination lately. I cropped the delicate vine with the Petals and More Thinlets, as wll as the banner and filigree behind the banners. I had to cut two black banners in order to create the mat for the white banner. In order to get the white banner totally surrounded, I needed to cut one black banner horizontally and one vertically. 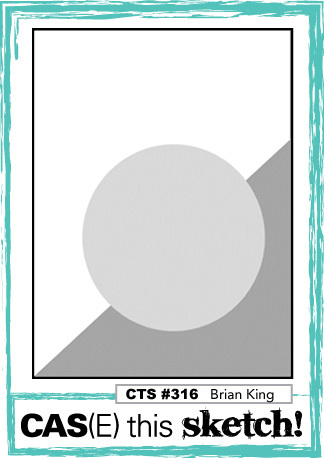 This clean and simple layout from CTS is perfect for this stamp/thinlet/embossing folder trio. I wanted the Bermuda Bay pieces to shine and pop on the card, but needed a panel for this challenge. The Petal Pair embossing folder fit the bill. I added the leaf stalks, the banners for the sentiment, and the little bird. The leaf stalks were adhered using my Fine Tip Glue Pen (can you even imagine putting mini dimensionals on the back of that?? ), and mini and standard dimensionals on the banners and the bird. Your comments are greatly appreciated, so please feel free to leave a comment.